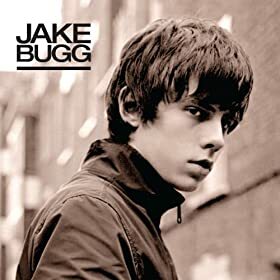 Jake Bugg’s self-titled CD was released in the USA on April 9, 2013. I covered the song “Lightning Bolt” from the album previously, and now I’m looking at the rest of the album. Lightning Bolt: My thoughts on it are linked above. Two Fingers: A slower, more reflective song. Already good from the start, but it really picks up during the chorus with the guitar and bass parts. Taste It: I hear this song and my mind imagines walking down a country road. The main guitar riff might not be as catchy as “Lightning Bolt’s,” but don’t be surprised if it still gets stuck in your head. Seen It All: A calm opening guitar leads into a faster first verse before reaching the slightly more frenetic chorus. It fits the song considering the subject is one night out that soon becomes too crazy. The tone of the song’s ending lets you know how that night ended. Simple As This: This song has the right mood coming off of “Seen It All’s” ending. Soft guitar and a nice harmonica compliment Jake’s voice. Overall though, this song didn’t really stick with me. Broken: Another slow, contemplative song. The guitar really helps create the right atmosphere, and the build-up in the last minute to the ending is quite powerful. Trouble Town: Back to the quicker style of earlier songs (“Taste It”). Less-than-upbeat lyrics describe a less-than-favorable place to live. Pretty likable song thanks to the guitar playing and drum beat. Ballad Of Mr. Jones: The percussion is the real focus here. The guitar is initially light, but becomes stronger for the chorus. This song is sad, especially once its understood what the song is about. It definitely makes for a very striking track. Slide: Not a bad song, but it’s my least favorite on the album. The guitar is just as good here as it is in previous tracks. The lyrics however, don’t really resonate with me. Someone Told Me: The guitar on this track is kind of charming. The lyrics on it are depressing. It makes for an unnerving, but effective combination. Note To Self: Nice harmonica in the opening. A good message about reminding yourself about your own importance. All around good song. Someplace: A song about being with the one you love. Between the guitar and points where the other instruments chime in, I was getting an “Iris” by Goo Goo Dolls vibe when listening to this (that’s a good thing, since I really like that song). Fire: The last song on the album, and also the shortest. Almost feels out of place with its rough, crackling noise and simple guitar strums. Those things however, also make the song kind of appealing in its own way. This is a very good album. A lot of slow, meaningful songs with a few quicker paced (though not always upbeat) tracks. Jake’s smooth voice and the consistently good acoustic guitar are the main draws, though there are points where the drum section shines as well. It’s certainly worth picking up. Jake Bugg’s self-titled album can be purchased from the iTunes store and Amazon MP3. This entry was posted in Written Posts and tagged Album Reviews, Jake Bugg on July 7, 2013 by Mikey.